I'm not typically one to feel anxious without good reason but recently experienced slight anxiety about applying for my non-immigrant (J-1) U.S. visa. 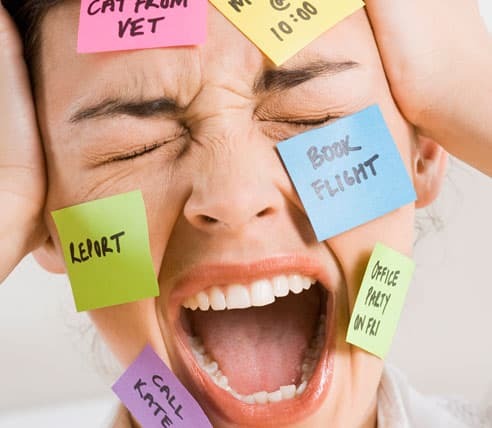 For academics travelling to work a temporary job (e.g. a post-doc) in the U.S., these visas are standard and usually the route universities and research organisations take to employ you. So, after accepting the job in Colorado, where I start on the 1st April, I received my DS-2019, signed it and completed my DS-160 online application to start the process of getting my visa. After a million questions including "have you visited any countries?" and "do you intend to operate a human trafficking ring in the USA?" I completed the application and could then book an appointment at the U.S. embassy in London to obtain my visa. At this point I started looking online for info about the process; what I needed to bring, how long it would take, what I could take into the building, etc. While there's a lot of info out there I found a lot of it was quite contradictory so I thought I'd take it on myself to document my experience and hopefully clarify the process for future applicants. DISCLAIMER: this was at the U.S. Embassy in London applying on Wednesday 11th Feb 2015 for a non-immigrant visa (J-1) as a research scholar. My post is a paid 2-year post-doc with a university in Colorado almost immediately after I've finished a PhD in the UK. I am a British citizen with no criminal records or history that would influence my application and I have immediate family in the UK suggesting I'll return. Your experience may be slightly different. It's a simple process online as long as you've got your DS-2019 (or DS-7002) and have completed your DS-160. Both of these have unique IDs for you that you need to book. As far as I can tell they interview ~400 people per morning and you can book into different slots between 9 and 11am. You can do the maths but obviously not everyone will be seen at exactly 9am if you book into that slot! I booked the 11am slot hoping to avoid any rush-hour commuters on my way to the embassy. If you want to be done in time to meet someone for lunch, book for 9am! You can realistically expect to be there for 3 hours. Once you've booked your interview and paid your SEVIS fee (www.fjmfee.com ), print out confirmations of everything (your DS-160, the receipt of SEVIS fee payment, the email of your appointment) and turn up on time for your interview! I intended to arrive 30 mins early but failed and got there 10:50am (10 mins before my scheduled interview). 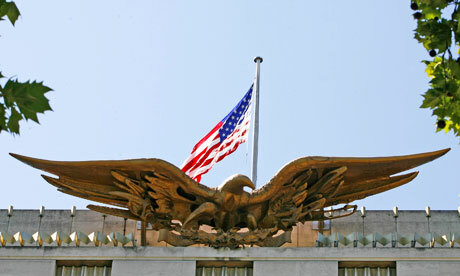 Outside the big building with a huge American flag and golden eagle is a small lectern with a couple of people at it. Show them that you have your printed confirmations and they'll give you a clear bag for your phone and belt. YES! YOU CAN TAKE YOUR PHONE IN (this may not be true for all entrants to the embassy but for visa applications it certainly looked the case). You then go to a small hut on the front right of the building (marked 'Visas') and go through a little security scanner, just like at airports. Hold your belt until you get inside and leave the hut, turning *right* round the building and up some stairs into the building. At a reception straight in front of you they'll give your email interview confirmation page a sticker with YOUR NUMBER. Turn left, go up some stairs and enter a long narrow room with ~400 waiting room style seats. Find a seat near the front (especially if your eyesight isn't great) and wait. At this point I told the interviewer that I didn't have any photo paper quality photos and that I'd uploaded a photo with my DS-160 application. The interviewer didn't say anything and continued to type away. They ask you if you've read the Wilbur Force document (I had) and then scan your finger and thumb prints during this first 'interview'. They then wrote 2 numbers on the front of my DS-160 confirmation, gave me back my interview confirmation email printout and told me to wait for my number to be called. The interviewer keeps all other documents (including your passport). This whole process took about 90 seconds. After this you sit down and wait. Again. Your number will now be called randomly. So it's now quite easy to miss. Every 'ding' which signifies another number called you need to look at. If you miss it, check the list on the left hand side of the screen - it's added after ~20 seconds and is in the order of most recent called at the top. Early in the day (when all 25 interview windows are in use) there are 2 screens of numbers so you might have to wait if you've missed 8+ numbers. At one point while I was there they said that if you miss your number you will be placed at the very back of the queue! So keep an eye out. Key thing here- bring something to entertain yourself! At this point you're probably going to be waiting another 2+ hours (but probably not much more). If you're lucky you could be called up 'out-of-turn' and be seen quickly. But similarly you could be 'out-of-turn' the other way and be there >4 hours. In total I was there from 10:50am until 1:45pm. "You are a Doctor of...what?" "What work will you be doing in America?" "Have you been the U.S. before?" The last of these I'm almost sure was an informal question while the interviewer typed in whatever it was they were typing. Generally during the whole process I got the feeling like they're not overly keen on generic banter to fill silence and 'be pleasant'. This was particularly true for the first 'interview' - they've got hundreds of people to process in 3-4 hours so they're professional but blunt, not interested in how your morning is going! And that was it. I was out again within 3 hours of arrival - a relatively pain-free and efficient process. But then I spent more than 95% of my time waiting (my entire contact time with someone can't have been any more than 10 minutes and probably closer to 5). It'd be surely better to have people arrive at more precise prescribed times, not for the start of hour-long blocks?! Anyway, they told me they'd contact me within the next 5 working days and lo and behold, the following Tuesday my passport and visa was delivered to the personal address I'd paid for. And that was that! I took the underground to Green Park and walked (quickly) from there. It took me about 10 mins. If you want food/drink there is a small selection at the very front of the long, narrow room, under the screens. Next to the hot and cold cabinets is someone who runs a little till. I didn't buy anything but suspect most things are relatively expensive. If you want anything, I recommend getting it before midday. Around 12:30 the person running the tills clear away everything and all you're left with is either tea or coffee. No food that I could see. There are signs that "cellphones must be switched off at interview windows" and "no photography" but nothing about phone use while waiting. I saw dozens of people using phones inside. I wouldn't recommend calling anyone though! If you do need new photos for whatever reason, there are machines just off from the main room (on the way to counters 12-25) and need £7 in change. Toilets: along the same little corridor towards counters 12-25. I didn't use them but I don't think you had to pay. If you don't have anything to keep you entertained, there are 9 different brochures about America in stands along the left side of the long, narrow room. There's also an screen that rotates through the same clips of American scenery/culture and information about a) what to bring to the interview that you're currently at, and b) employment rights and law in America, including depressing notes about human trafficking and sexual abuse in the workplace! My number was 394 but the number called immediately prior to mine was 287. Also, about 90 mins before I was called, #384 was called. So for the second interview stage the numbers really are in quite a random order!